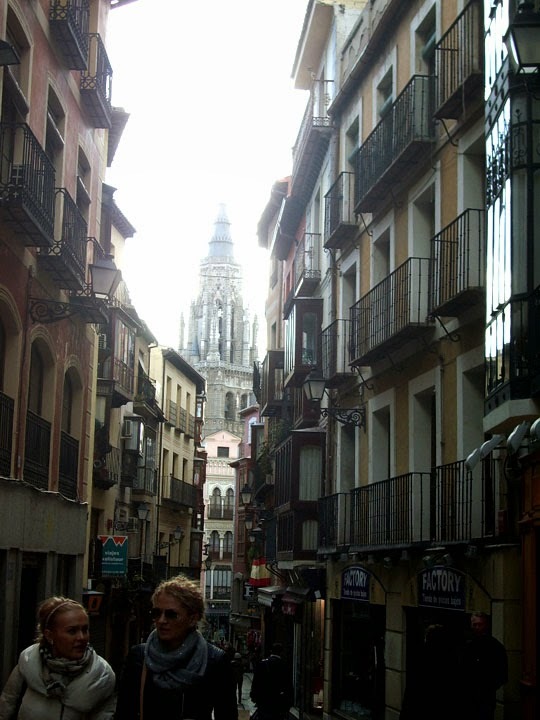 The final stop on our Spanish epic adventure was the ancient capital of Toledo. Strategically placed so it is surrounded on three sides by a river, the town clings to the hilltop like vulture on a steeple. After missing out exit, we finally found our way to the parking garage literally carved into the underside of the hill the town rests on. You then take an elevator or escalator to the top where the ancient tight streets wind their way around this city full of history. The view from the top of the parking garage at the top of Toledo. 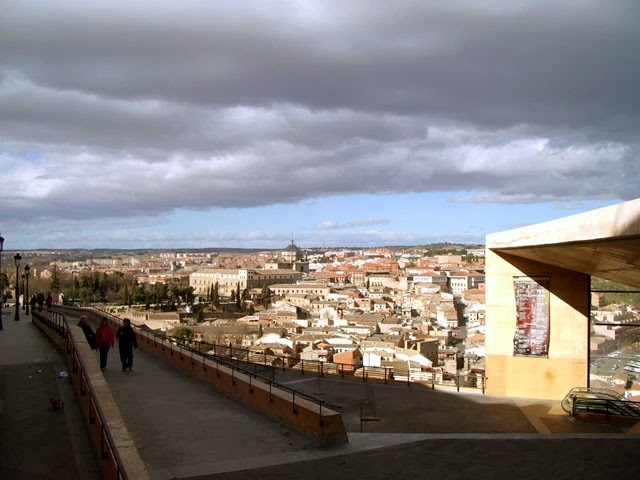 It's the city where Cervantes wrote his famous Man From La Mancha (Don Quixote), a city world renowned for its swords and still riddled with bullet holes from the Spanish Civil War. We quickly found a hotel on the main plaza and started to walk our way through it's twisting towering streets with churches and synagogues around every corner. 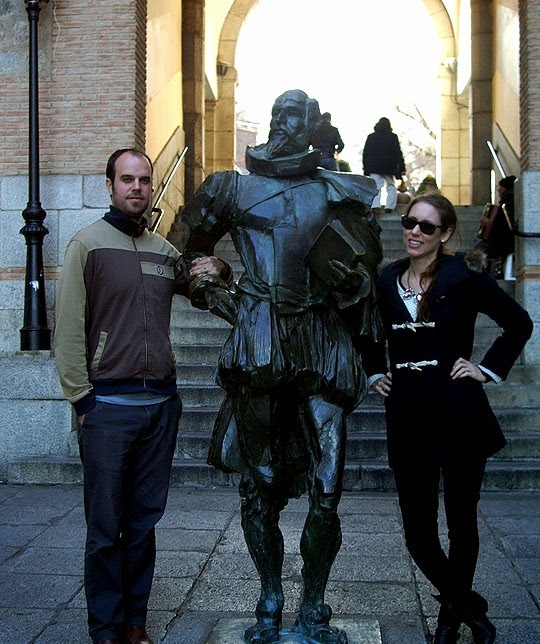 When we found a statue of old Cervantes himself, we had to take a picture with him our own author extraordinaire. After a day in Toledo, we headed back to Madrid and the end our our journey. 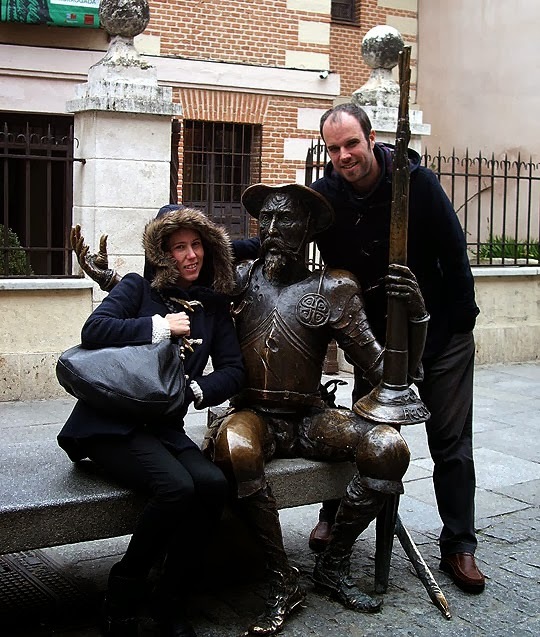 Before Madrid though, we made one more stop in a suburb of the capital and the hometown of Cervantes. We toured his family's house and found the Man from La Mancha to pose with us.